While a world war waged around them, two people are connected after an unimaginable tragedy. One letter at a time, they give each other a reason to hope…and begin to fall in love. Note to Reader: This story is set during WWII and told in letters. The in-person meeting between Noah and Anna after the war in Europe ends is told in ALONG WATERS OF SUNSHINE AND SHADOW. 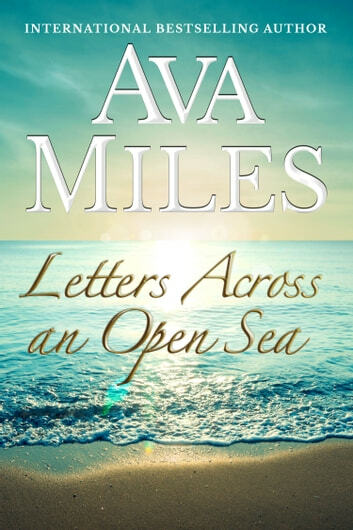 This is the story of Noah and Anna as they send letters to each other throughout the war, this gives you an insite into both sides of the terrible times they both experience with heartbreak and joys. Nice easy read. I received an eBook copy from the publisher for the purpose of an honest review. I was not compensated for this review: all conclusions are my own. I have loved these letters, (read them one at a time, but an excited to have them all in one collection). I have fallen in love with Noah and Anna as they connected, shared their innermost thoughts, hopes, fears, and dreams...as they each waited patiently for a response. Can't wait for their story to continue! "I received an eBook copy from the publisher for the purpose of an honest review. I was not compensated for this review: all conclusions are my own." This is a different type of storytelling, but still so very touching. In this book of letters, we learn about Noah, a soldier and Anna. Noah is an orphan and became like a brother to Martin. Noah and Martin are fighting overseas in World War 2, Martin unfortunately was killed. Noah wrote to Martin’s sister Anna to say how sorry he is and they end up writing back and forth to each other. Martin and Anna use these letters to express their feelings on all that is going on, the hardships and struggles of life during the war. These letters were so very touching in many ways. First this is how things use to be, and it is a very different time and sometimes we need that reminder. Second there is something so special about becoming friends and falling in love like this, not ever meeting the person, seeing them only in a photo. I struggled a little at first with the letters but I feel for this whole thing. I never grew up in this era and it is touching and a reminder that things were not easy then and a lot was given up. 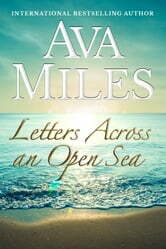 Ava Miles does an excellent job with these letters and this story of Noah and Anna. I recommend this to anyone wanting to fall in love and go back a little to a different time of letter writing. I love that all the letters are now in a book format instead of waiting for each letter individually, I think it flows a little better having them all at once instead of having to wait for them like Noah and Anna did. "I received an eBook copy from the publisher for the purpose of an honest review. I was not compensated for this review: all conclusions are my own." I loved these letters. It is a good view about life during World War II at home and abroad. Noah connects with his buddy's sister, Anna. As they correspond, they get to know each other and find out what is happening on both sides of the ocean. Can't wait to see where this budding romance goes. Budding love in the face of tragedy. What a unique way to start a romance and I loved it. In the worst possible conditions you see Noah and Anna getting to know one another thru tragedy. Feeling their worries and fears for one another was so touching and had you praying Noah would make it home. And you see their love starting to bud. Seeing their shared thoughts and feeling thru these letters was so sweet and I can't wait to see what happens when Noah shows up! !